Just had to give Anderson Automotive a 5-star review. I got stranded in Olathe after a doctor's appt. and had no idea what to do. I googled nearest mechanic, and Anderson came up, thankfully, just down the road and the best part, had 5 star reviews! When I got there, Patrick was wonderful and so helpful. He took my car in immediately and told me a repair on the rack & pinion steering another mechanic had done last year failed, so I was leaking PS fluid and had zero left, hence the horrific noise I was hearing. He said I needed another R&P job done since the 6-month warranty on the other job had expired. Unfortunately, I live 25+ miles away in Kansas City, MO, so it was not going to be possible logistically to have Anderson do the repair since it takes at least a half day. I certainly wish they were within my driving distance - if so, I would definitely make them my mechanic of choice! Patrick assessed everything, added PS fluid for me and charged me nothing! Needless to say, as a woman, I'm always leery of getting taken advantage of because I need to trust what I'm told by my mechanic. I felt compelled to write this review after I was treated so fairly. ...And the mechanic who did the original repair... told me he would "work with me" since their repair failed after barely a year. He said I was one of the "unlucky" ones. I'm waiting to see what that means, otherwise, I will try to make it out to Anderson to have them do it! This is a top rate place, and very clean and professional. Kudos to them! I have been using them for years and I was in the automotive business the first part of my working years and know how hard it is to find an honest and knowledgeable shop, which they are. I highly recommend them. I had another shop tell me it would be over $1300.00 to fix the AC in my Honda. They said the compressor had gone out. 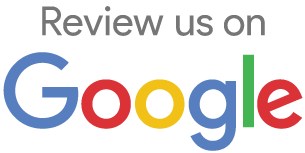 I wanted another opinion and my son recommended Anderson Automotive. They found the problem was a relay, not the entire compressor! Only cost me $499.00 to fix! I have found my auto shop! Thank you!!! When i took my car in to find out what was wrong with it, I also what caused the problem and how to prevent it. I appreciated the service writers and their patience with me. I also appreciated the entertainment of the dogs! I have used Anderson Automotive multiple times now and I have always had a wonderful experience! They always take good care of me!